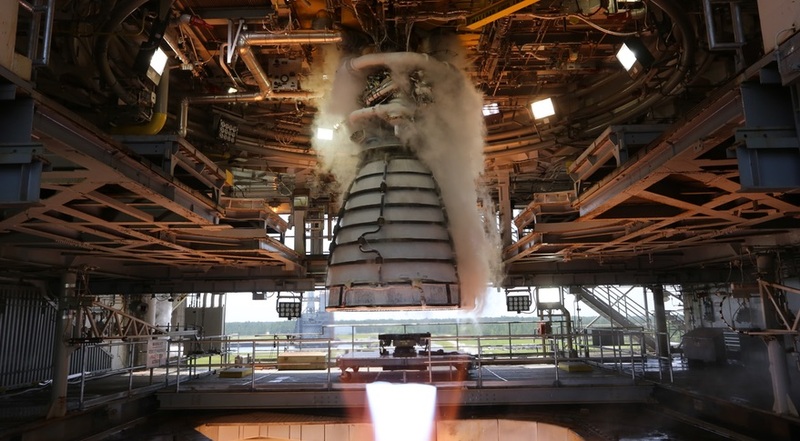 WASHINGTON — A space shuttle-era main engine is undergoing a series of daily test firings to demonstrate its suitability for use on a reusable spaceplane under development. One minor difference in the engine, he said, is using a new flight controller, or computer system, from the updated version of the RS-25 engine intended for use on NASA’s Space Launch System. “The rest of it is not new technology,” he said. The purpose of the test series is to demonstrate that the engine can be used 10 times in 10 days. That is a major requirement of the Defense Advanced Research Project Agency’s Experimental Spaceplane program, for which the AR-22 will power Boeing’s Phantom Express vehicle. Although the AR-22 and its shuttle-era predecessors have decades of experience, the same engine has never been tested so frequently. Haynes said that there was only one case where the same engine was fired one day apart. “We’ve already far exceeded that in this series,” he said. The Experimental Spaceplane program, formerly known as XS-1, is developing a reusable lower stage capable of daily launches that, equipped with an upper stage, can place 1,360 kilograms into orbit. In May 2017 DARPA selected Boeing to develop XS-1, beating out Masten Space Systems and Northrop Grumman who, like Boeing, received earlier study contracts. Other subsystems are going through a series of critical design reviews in the coming months, culminating in a review for the overall vehicle in early 2019, he said. Full assembly of the vehicle will begin in the spring of 2019.